So March has crept up on us and I'm thrilled to finally show you the GREAT (he he...) March giveaway! 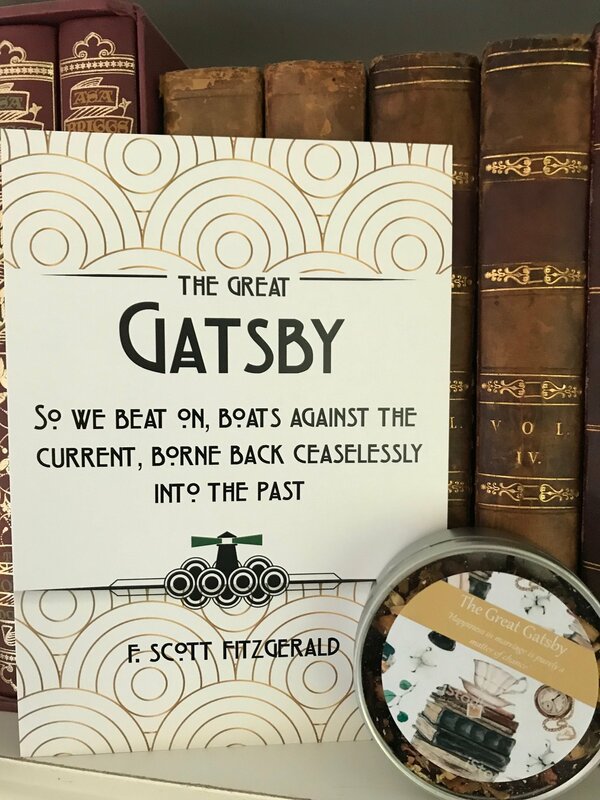 This time we have a gorgeous print of The Great Gatsby's most famous line from thestorygift.co.uk AND a Great Gatsby tea from the Literary Tea Company! This particular tea is Peach Blossom (which sounds delicious and I kind of wish I could keep it myself...) and the tin features another Gatsby quote. If you'd like to see the other literary teas available (there are lots, I spent ages looking) you can find them both at the Literary Tea Company's etsy store (https://www.etsy.com/uk/shop/LiteraryTeaCompany) or at their own website, theliteraryteacompany.co.uk . As always, supporters are automatically entered into the giveaway and if you're not a supporter but want to be included in this months giveaway but you can become a supporter on patreon here... https://www.patreon.com/bookclubforum . A winner will be chosen at random on the last day of the month. Good luck! Apologies for the delay on this one, April really crept up on me!